Spanish teacher Abel Olivas is one of the few remaining teachers who started at Harker with the opening of the upper school. He serves as chair of the modern and classical languages department, is the faculty advisor for the Gender and Sexuality Alliance and the Spanish National Honor Society, and assists the Diversity Committee in various ways. A native of Texas whose life got off to a “really rough start,” his diverse interests and talents show a life well-lived and appreciated. Q: What one piece of advice would you offer anyone who asks? Don’t live your life for anyone else. Q: What are you most proud of yourself for? I got an MFA in writing and completed the manuscript for my memoir! My book details how grateful I am that my life turned out so nicely. After a solid eight hours of sleep, doing a couple of hours of fruitful writing; lunch at Books Inc. in Mountain View; another couple of hours of productive writing there; back home to listen to music and do some singing or dancing; a call with my mother or sister in Texas; and a nice, long dinner with my husband, Robert, at one of our favorite restaurants. My needs are simple! Getting my book published. Oh wait, it hasn’t happened yet. If/when it happens, it will be the greatest accomplishment of my life. Q: What work of art has inspired you and why? I’m inspired in my writing by writers and composers who have turned the stories of minority communities into art. 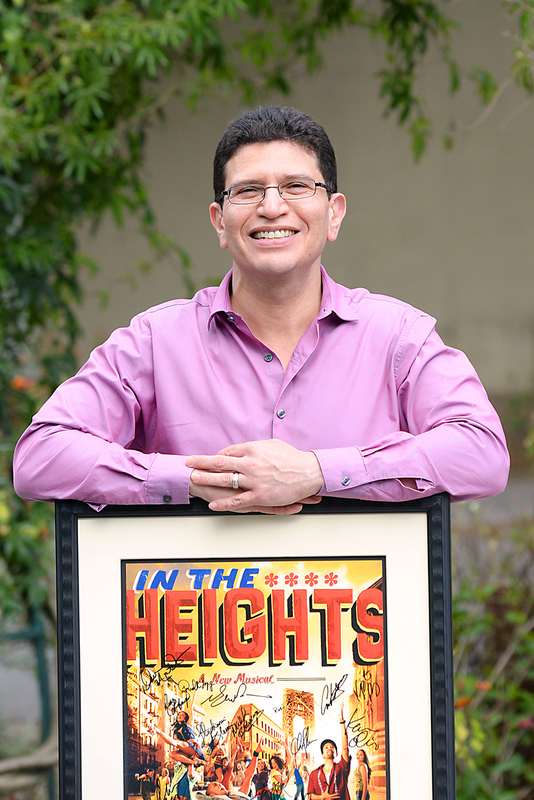 “In the Heights,” my favorite musical of all time, resonates with me so much, I sing to the cast recording in my car all the time. Q: What is your most treasured memory? Exchanging wedding vows with Robert as my mother witnessed it lovingly from her seat in the front row.